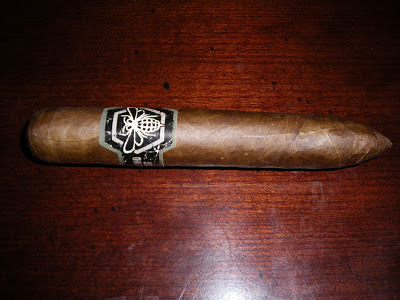 In 2012, the Viaje Honey and Hand Grenades (HHG) series has been an anticipated release by Viaje Cigars. 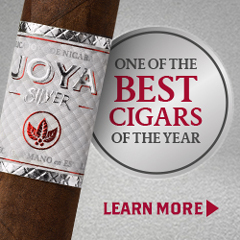 It was at the 2012 IPCPR where Viaje showed off this new cigar. 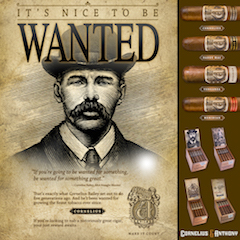 For several months, Viaje has put hints out for this most anticipated new release in some of its 2012 shipments (in the form of stickers) and on Facebook. With the cigars now making their way to the retailers, I had an opportunity to sample the Viaje HHG and see what it was all about. 2012 has proven to be a solid year for Viaje, and the Viaje HHG helps strengthen that case. This was a very enjoyable cigar. 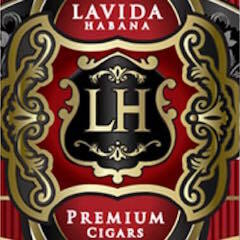 When I talked to Viaje Cigars’ president Andre Farkas at the 2012 IPCPR Trade Show, he told me he got the name from two of the attributes of what the HHG brings to the table – namely, there is a combination of sweetness and strength in the blend. As we discuss the flavor profile, this was definitely the case, but at the same time, this is not going to be “in your face”, in terms of strength and sweetness. 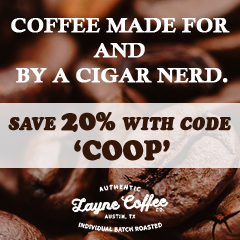 As with all Viaje cigars, these are released in small batches. 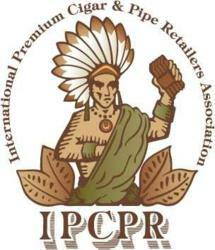 This typically means retailers will receive one to two boxes of each of the sizes of the vitolas. It also means that until there is another production cycle, retailers probably won’t see more of this size for some time. With many Viaje small batch releases, the vitolas are not all usually shipped at once. In the case of the 2012 release of the HHG, Viaje opted to ship all three vitolas available. Let’s break down the Viaje Honey and Hand Grenades and see what this cigar brings to the table. As with most Viaje Cigars, the Viaje Honey and Hand Grenades is a Nicaraguan puro. In my conversation with Farkas he also mentioned that like many Viaje cigars, this blend uses Aganorsa leaf. 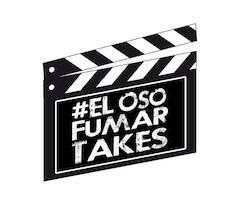 The cigar will be available in three vitolas. 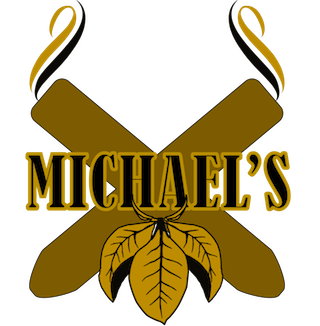 The cigars will be packaged 25 cigars per box. The vitola shape for each of the vitolas consisted of a rounded head and a torpedo foot. The boxes consist of a very thick wood. The cover to the box is nailed (from the top) into the thick sides of the wood. Some care should be given when removing the cover to avoid not only damaging the box, but also avoid damaging the cigars. 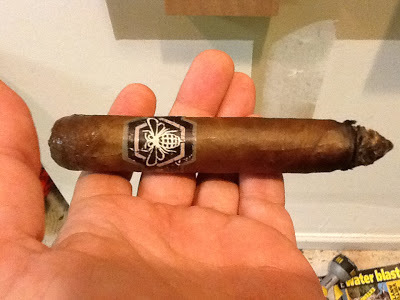 For the this smoking experience of the Viaje HHG, I opted to go with the smallest vitola – the Viaje HHG Shank. The Nicaraguan Criollo of this cigar has almost an oak-like color. There is a slightly oily complexion to the cigar. There are few visible veins and the wrapper seams are well hidden. There is a pinhole in the cap of the HHG. The purpose of this is to help with moisture control during the aging process. 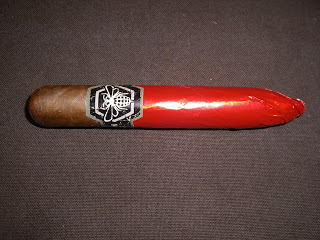 The Viaje Honey and Hand Grenades has a red foil that covers the torpedo foot of the cigar and goes all the way under the band (see picture by the introduction). This is a little tricky to remove – especially if you want to keep the band on the cigar. This is because the foil sits under the band. If you are like me and like to have the band on the cigar, you probably are going to need to take the band and foil off together, then separate the band from the foil before putting it back on. As for the band, the color scheme is black, off-white, and pewter. The Honey and Hand Grenades logo is prominently in the center (in off-white). The logo features a bumble bee with a grenade on its chest. There is a hexagon surrounding the bee. To left and right of the logo is the text (in pewter) “HONEY & HAND” (on one line) and “GRENADES” (on another line). The surrounding trim of the band is also pewter in color. For my smoke of the Viaje HHG Shank, I went with a straight cut into the rounded head. Given this was a closed torpedo foot, I did not get much of a pre-light draw other than some notes of leather. Pre-light draws do not get scored or factored into our assessments, but if it did I would have given this an incomplete. When I was ready to light the Viaje HHG, I toasted a good chunk of the torpedo foot and to help facilitate the burn early on. I was most curious to see what the flavor profile of this cigar would deliver. While the packaging and banding of this cigar was very contemporary, the flavor profile was very classic. Given the name, I was expecting contemporary flavors of “honey sweetness”. Instead I was pleasantly surprised at how classic the flavor profile was. As the tip was burning, I was treated to some pepper notes. I would not say this would qualify to be a “pepper blast”, but I still picked up some pepper spice. The pepper could also be detected through the nasal package. The spice would soon be joined by notes of oak. Soon as the tip finished burning, I picked up an unknown sweetness. As the smoking experience of the Viaje HHG progressed through the first third, the unknown sweetness took on the form of a natural tobacco sweetness. There was also a floral element present. Both the natural tobacco sweetness and floral notes were primary, while the oak and pepper notes were secondary. By the end of the first third, the flavor profile changed up. 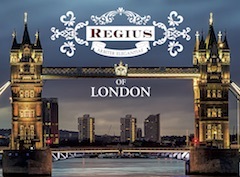 The pepper notes became primary on the draw while the natural tobacco sweetness and oak flavors were on the after-draw. The floral notes had dissipated. By the start of the final third, the pepper notes were firmly in control of the flavor profile. You could still pick up the oak and natural tobacco notes right until the end. While the end of the HHG was spicy, it was not harsh. The resulting nub was ideal – cool in temperature and firm to the touch. The Viaje Honey and Hand Grenades has to be considered an unorthodox-shaped vitola. Usually with unorthodox-shaped cigars, they tend to disappoint me when it comes to burn. I was pleasantly surprised with the Viaje Oro Collector’s Edition (which had an unorthodox perfecto shape). I was equally surprised with the Viaje Honey and Hand Grenades when it came to the burn. The burn was outstanding from start to finish. After the tip burned, the burn required very little maintenance to keep the burn line straight. The burn rate and burn temperature were ideal. The resulting ash was more on the gray/black side. There was an instance where the ash flowered, but this seemed to be an isolated case. This didn’t seem to be a case where the cigar wasn’t aged (as I thought the flavor profile was developed). The draw was good, but short of excellent. There were times when the draw tightened up, but this didn’t last long. Perhaps with the case of draw, I can chalk it up to the unorthodox shape. The Viaje brand is known for some very strong cigars when it comes to a nicotine punch. I was expecting this with the Viaje HHG. This is not what I got. The Viaje HHG did not deliver an “in your face” strength. Instead it delivered the right amount of strength. 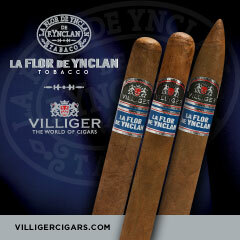 The Viaje HHG starts out medium in strength. By the second half, the strength kicks up into the medium to full range in terms of strength. Overall there is some nice depth to the flavors. I assessed the flavors to be medium to full-bodied from start to finish. The strength and body balance each other very well for most of the smoke – although I’d give the body a slight edge in the early part of the smoke. There was a lot of anticipation for the Viaje Honey and Hand Grenades. Overall, this cigar lived up to a lot of the hype. There is a combination of sweetness and strength in the blend. The sweetness is a very classic tobacco sweetness. The strength is what I would consider a healthy dose, but not an overpowering dose. I actually liked the rounded head/torpedo tip combination, but I wondered if a straight parejo would have made the draw even better. 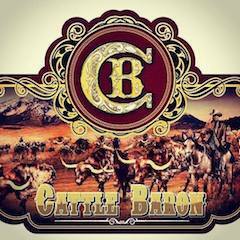 I’d recommend this cigar for a more experienced cigar enthusiast. 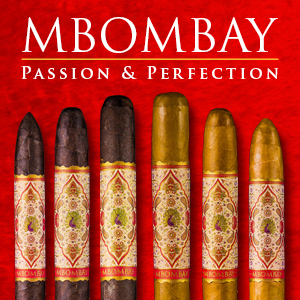 This might even be a cigar I’d recommend to a novice who is looking to graduate to something a bit stronger. As for myself, I look forward to smoking this again. 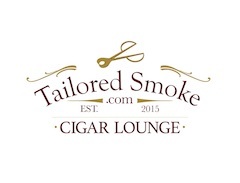 Source: The cigars for this assessment was purchased from Outland Cigars in Charlotte, North Carolina. Smoking my first Shank tonight and your review is dead on. Great review!